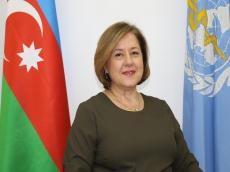 Prior to her appointment, Harmanci worked in various WHO agencies for 13 years. Before joining the WHO, from 1994 to 2005, Harmanci worked as public health professor at the Marmara University and held leading posts in healthcare services in Istanbul. Hande Harmanci is fluent in English, Turkish, French and Azerbaijani.